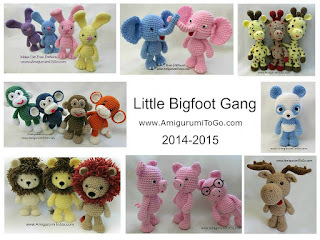 Members of Little Bigfoot Gang. Thought I should add a page just for this series of patterns for easy finding! They all are free, most have video tutorials and the ones that don't will eventually. Now we have more members of the LBF gang! And I do have many, many other patterns available for free here. Just look on the right side and scroll down to the label list. I hope you enjoy! You may sell finished products. So nice to see them al together. Great idea to make a special page for the series. I love all your designs. I will make more pages like this over the next couple weeks for my other designs to make it easier for people to find. Thank you so much for all the hard work you do to make it easier for us. I really appreciate all your free patterns, tutorials and look forward to my newsletter arriving, so thank you once again!! If you signed up via the google one I'm not sure their email system is working. I've gotten a number of messages asking why there's no updates even though I have indeed been updating. If you joined via bloglovin, that one works for sure. If you ever wonder about it just check back here ever now and then to see if I've added something new. I love your work. 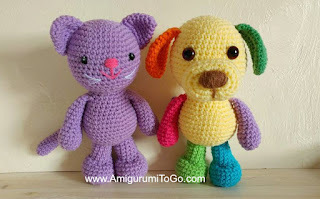 Thank you very much for the free patterns and videos. You inspire me. God bless you. 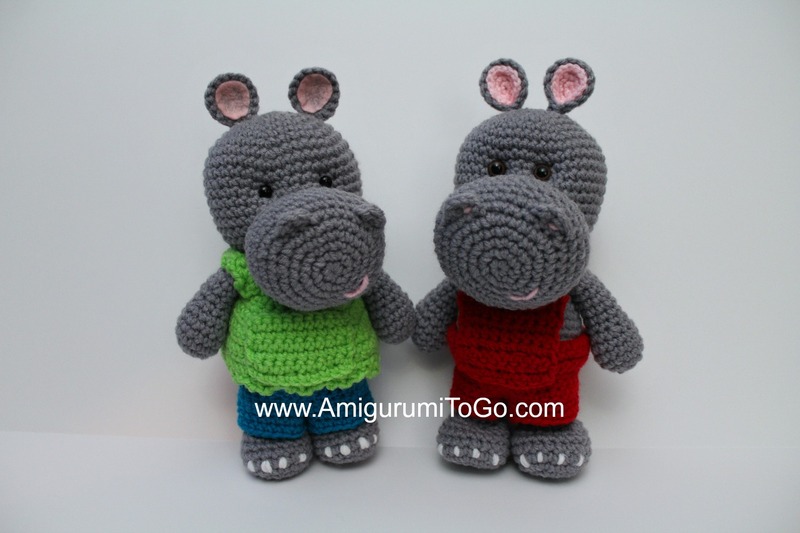 i share your blog links with all my friends and costumers, thank you so much! I just want to say how much I love your patterns! Can I request a "Little Bigfoot Dog"? I just can not seem to get the ears right when I try to make one! Thanks again!! Just discovered your site----WOW!!! How absolutely talented and generous you are to share your creations with others !!! 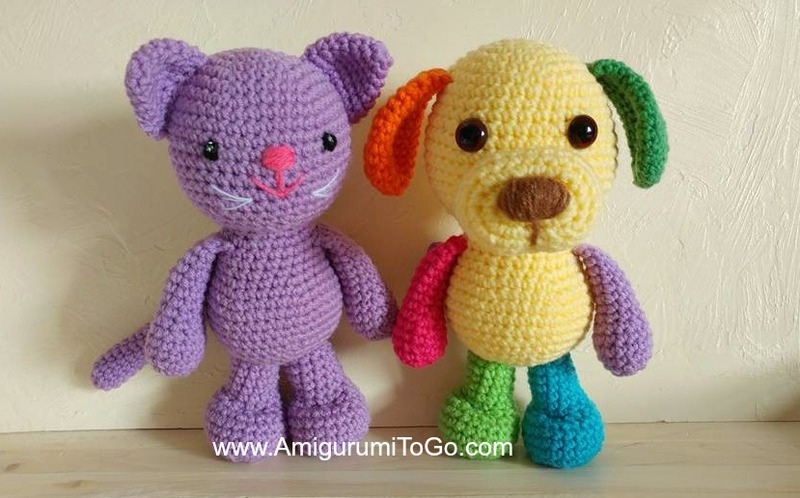 I crochet for charity and these little fellows will bring many sweet smiles to young faces ! Thank You!! Hello. I have been looking at the little big foot patterns. And the basic body can that be used for all the lbf animals? I wanted to do the bear and the bunny. But when I looked they have different stitches. Can the basic be used for both? I was planning on making loads of bodies and then doing the ears and face separately as and when needed. So not sure if I need to do 2 types of bodies?? this set is the larger set of little bigfoot animals, some of them do have different patterns. You might have seen the smaller set of LBF's ?? They have one basic body for all. That set is here It's the search results from this page so you have to scroll down to see them all. There's a unicorn, horse, pig, cow, bear, hippo.. and more coming this year. Those all have one basic body pattern. If you wanted the larger ones, they could be made from one pattern.. just find the body you like and then switch up the parts that make it a bear, pig, bunny and so on. Hope that helps! Ahhh ok. Yeah I saw the basic body and the bear with the tummy patch. But liked the bunny from these ones too. Wasn't sure if I could use the same body for both? I have started on the bunny. But when I come to doing the 2tog I'm left with big gaps between the stitches. Any idea how to stop that from happening?